In 2011, researchers discovered the frozen body of a woolly mammoth in Siberian permafrost. 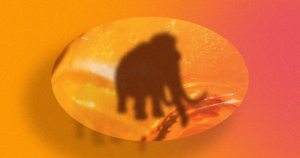 Now, a team of Japanese scientists has coaxed biological reactions from the mammoth’s 28,000-year-old cells — making it more likely than ever that we could one day bring the extinct species back from the dead. In a paper published Monday in the journal Scientific Reports, the team from Japan’s Kindai University describes how it placed cell nuclei from the preserved mammoth into mouse egg cells. Of the several dozen cells injected, five showed signs of the biological activity that takes place just prior to cell division. “This suggests that, despite the years that have passed, cell activity can still happen and parts of it can be recreated,” researcher Kei Miyamoto told AFP. Miyamoto says his team now “want[s] to try various approaches” to see if it can actually bring a mammoth to life, but he cautions that scientists still have a long way to go before they’ll be able to resurrect this extinct species — if such a feat is even possible. Still, if we can resurrect the wooly mammoth, there’s a chance the species could help us curb global warming — making it a goal well worth pursuing.